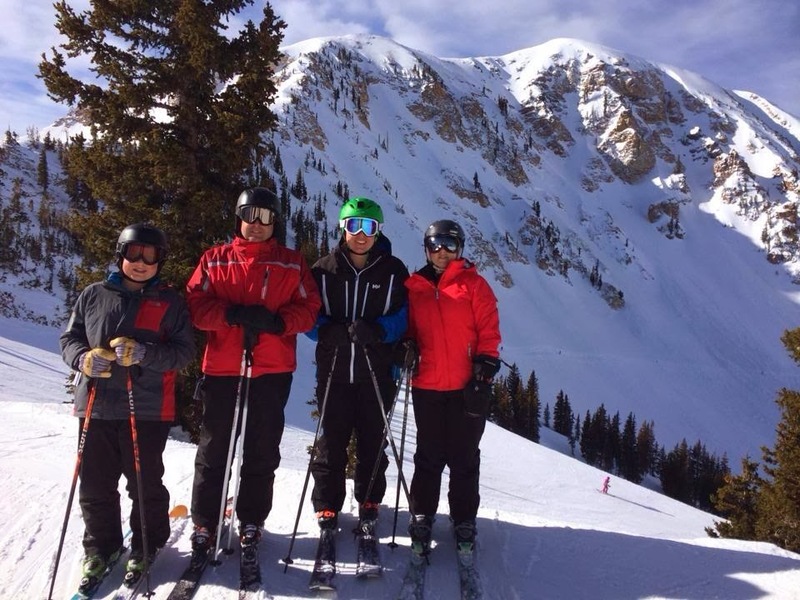 The Maine Ski Family crew with Alta's Mt. Baldy in the Background - Yes, Mt. Baldy can be Skied! The @MaineSkiFamily crew took a 'bucket list' trip out to Alta and Snowbird in Utah for 6 tremendous days of skiing. (February 15-20, 2014) It was our first trip out west to ski and it was great building memories together as a family. We spent most of our time at Alta. Alta has a lot of great terrain accessible from the lift, and the mountain really opens up if you are willing to hike and traverse. We basically stuck to the small hikes and traverses, but you can get into some really remote / gnarly / extremely steep terrain with some of the bigger hikes and traverses. While Alta and Snowbird has terrain to fit all ability levels, there is a level of expert terrain (steep, scary and long) that I have not seen before. You would probably have to ski Tucks at Mt. Washington to experience this in the east IMO. Overall the conditions were great. They were down a bit on snow, but there was still a deep 5 foot base. We had a couple of powder days so we were able to experience some of that Utah "Greatest Snow on Earth" and yes, it is super light and super fun. 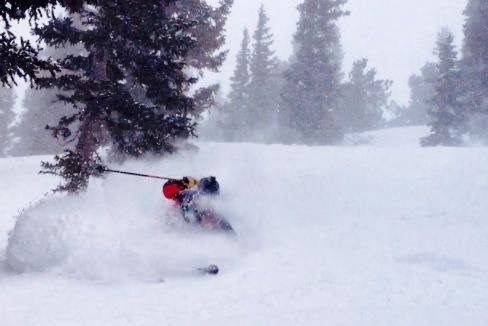 We had the most fun skiing while it was snowing for some 'storm skiing'. Storm days mean not as many people and our tracks kept filling in run to run which was super fun. Even when there was no blower powder around, the conditions were still really good and the snow was very carveable everywhere. Some of the locals complained about the 'icy' conditions a couple of the days we were there. Haha - we have seen ice waaaaaaaaay worse than that back east! We only took one cruiser day over at Snowbird to explore the area a bit so I won't go into big detail into that resort but safe to say it was big and fun. 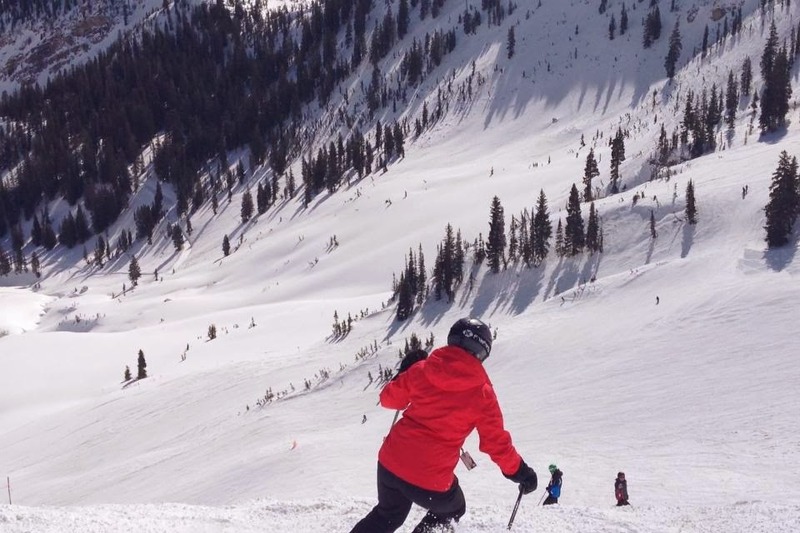 Mineral Basin, which is a huge bowl on the south side of Snowbird, is worth the price of admission alone but ski this basin when the visibility is good. In flat light conditions it is very tough to see. 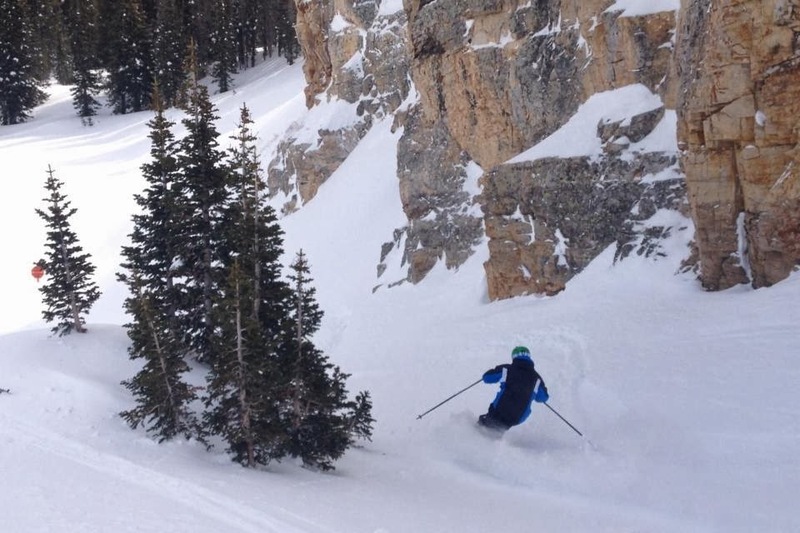 angle and low angle trees, groomers, chutes, steep pitches and hidden areas to find powder stashes. Lots of great terrain off this lift. Keyhole Gulch and Cabin Hill were two favorite places off this lift. The Ballroom - Off the Collins lift this is a bowl at the base of Mt. Baldy. The farther you traverse, the steeper it gets. We did a couple of runs off the Ballroom and associated Baldy Shoulder with some really nice turns. Catherine's Area - This is a expansive wilderness a short hike from the top of the Supreme lift. Lots of nicely spaced trees with rolling but not too severe pitches to keep us entertained. This area stays fresh a little longer due to the fact you have to hike a bit to get to it. Trees Skiers Left off Supreme Lift - While a lot of folks were hiking to Catherine's area skiers right off the Supreme lift, we found the trees skiers left of the lift to hold fresh snow and skied really well. Erosion Gullies is a trail we hit multiple times off this lift. Spruces under the Collins Lift - This was a fairly steep section of trees under the Collins lift that held some super snow all week. Great place to show off for your fans on the lift. Westward Ho - This is a tree run back to our condo. Lots of trees, cliffs and soft snow to play in. Fairly steep so it is best after a fresh snowfall but stays fresh longer due to the fact it exits into the Condo area of Alta and requires a hike back to the lift. I think it is safe to say that all ability levels can have fun at Alta. If you are new to skiing, there is a nice learning area in the Sunnyside / Albion base area. If you are blue cruiser intermediate skier, each lift has at least one groomed blue cruiser run available. If you are expert skiers (we fall into this category) there are lots of moderate to steep trees, bowls, gulches and trails to have a great run on. Then if you are in the Extreme skier realm, there are all kinds of opportunities to get your adrenaline rush on. We managed to get into an area called East Greely and it was steep and got our attention! We skied it fine but you have to be very confident on your skis when you approach any of these areas. Here is a compilation GoPro Video of our trip that they boys made. I plan to write a follow-on post on the blog that talks about some of the non-skiing parts of our trip... a bit of a tips and pointer blog in regards to planning for and executing a trip out west. Overall a super time had by all. Awesome! Yeah, I remember those "icy" conditions at Alta. A couple of small crusty patches. It's a wonderful place. I've been there many times including this year with my wife and three kids. I'm always struck by how massive the place is compared to Sugarloaf (our home mountain) or Saddleback. Thanks for sharing the video. Thanks for the post. Yea it is pretty gargantuan. On a whole different scale. The vertical drop at Alta is about the same (2200ft) but it is just wiiiiiiide open. If you mowed all the trees over at Sugarloaf or Saddleback you might get somewhat of a similar vibe. Ha! Looks like we overlapped a day at Alta. Interesting to compare notes. I really loved the East Greely steeps and anything off the High Traverse. Looking forward to your tips & pointers follow-up post.